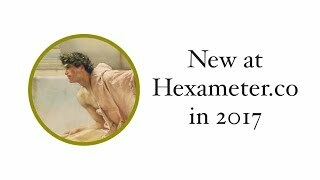 Hexameter.co is my site devoted to helping scholars of the classics learn and practice how to scan ancient epic poetry. Lots of people have already signed up for this service, which is free and awesome. I have something new to announce. Watch this video to see how the site has grown in the past three years! The word septentriones is an interesting Latin word for "the north". Caesar often uses this word. 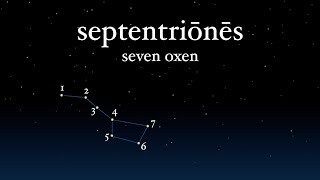 It's origins are unclear, and we learn from Varro that it relates to the seven stars of the Big Dipper, which the Romans referred to as the Seven Oxen. The English word mile comes from Latin. 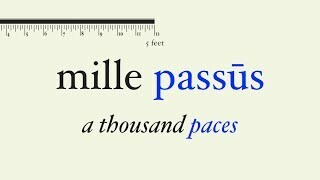 We think the mile is an arbitrary length that has nothing in common with a kilometer, but its decimal origins are clear when you know the etymology. Hannibal always remained an enemy of the Roman people, even after his defeat at Zama by Scipio Africanus. 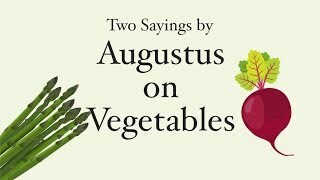 But when he offered his help to Antiochus III in Syria, he also brought with him his sly wit. 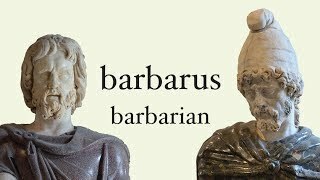 The word barbarian was coined by the Greeks to cover all people who didn't speak Greek, even though you may think it refers to cities, laws, or even a particular preference for drink. The thing is, the Greeks even felt that the Latin speaking Romans were barbarians. That is, until they were conquered by them. 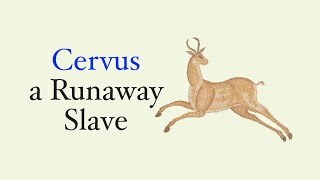 Runaway slaves, when captured, were branded with a FUG for fugitivus. But they were also referred to with the colorful term cervus, which means "deer". This brings with it a whole slew of connections, including that with the goddess Diana and the rex Nemorensis. Ancient Rome didn't have a part of its government devoted to collecting taxes. In fact, Rome didn't have much of a government at all under the Caesars. So how could the public be exploited through taxes? 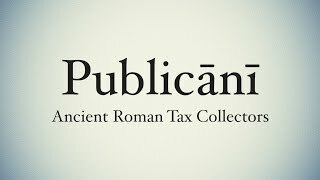 Enter the publicani, equestrians with tax collecting contracts. 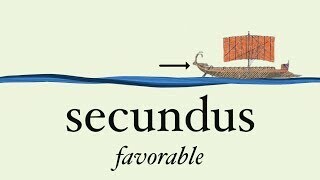 The Latin word secundus means "second" (obviously), but it also has meanings that go more in hand with "favorable" or "willing". How did these disparate meanings come about? A mappa is a piece of linen used at dinner parties and chariot races alike. In the middle ages, maps were written on linen, hence the modern English derivative of this word. 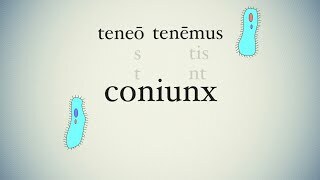 The noun coniunx means spouse, and is used for both the male and female component of a marriage, although it’s more frequently used for wife than husband, and it’s perfectly acceptable to translate this as wife or husband, whichever one is best given the context. 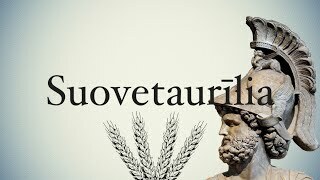 This video discusses the origin of the word. 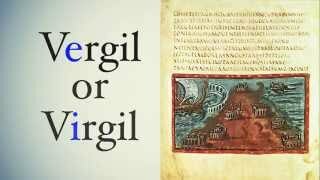 Vergil with an e or Virgil with an i? 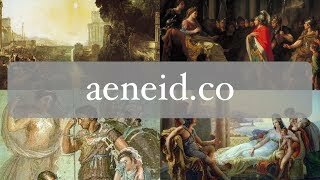 Spelling the name of the poet of the Aeneid can be a little challenging at first. Is his name spelled with an e or an i? Or maybe both? And why would there be two different versions of his name? 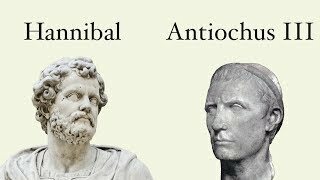 In this video, I touch on the reasons why Vergil's name became spelled with an i in place of the e.
The Roman emperor Nero was famous for many depraved deeds, and he also had a high opinion of himself. So naturally, the final words of his own life reflected his narcissistic and dramatic nature. 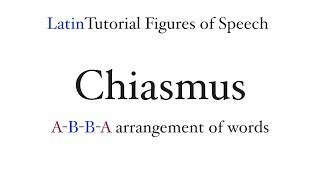 Chiasmus is the A-B-B-A order of words or phrases. 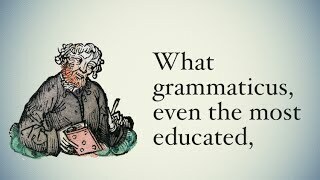 Often in Latin this is represented with different bits of grammar, like the placement of verbs and nouns. Latin also uses chiasmus with adjective-noun combinations. With chiasmus, what's fair is foul and foul is fair. 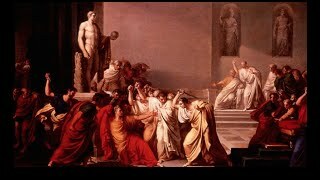 Julius Caesar is perhaps the most famous pontifex maximus in the history of Rome, although the emperors starting with Augustus also held the position. This title derives its name from the Latin words pons and facere. Literally, the pontifex built both actual bridges in Rome and metaphorical bridges between mankind and the gods. Classics is the study of the language, literature, arts, history, culture, et cetera, of ancient Greece and Rome. 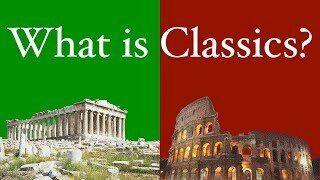 In this video, I look at the origins of the word "classics" and how something that relates to ships came to refer to a field of study. 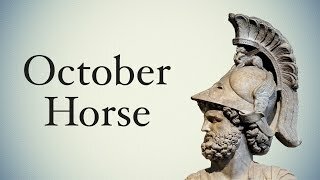 Every year on the Ides of October, the 15th, the Romans performed a very strange religious ritual. Chariot races, sacrifice, Mars, neighborhood competitions - it's very weird and not very well understood. Could there be connections to Troy? A Roman legion consisted of around 5,000 soldiers at full strength, and it was one of the basic organizational units of the Roman army. 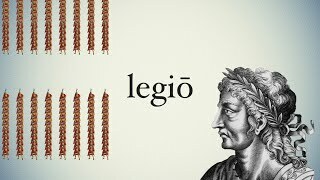 This video discusses the origin of the word itself and how the legion developed over time. The suovetaurilia is traditional triple sacrifice to the god Mars and done to purify land, where a pig, sheep, and bull were sacrificed. 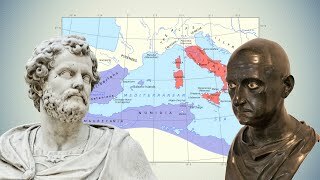 This video discusses its origin and role in Roman culture. Edit: Corrected long marks. What did the Romans have to do with Halloween? 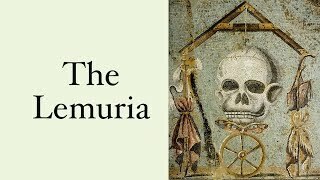 The ancient Romans didn't create Halloween, but their festival of Lemuria could in some way be connected to our frightful holiday. The Lemuria was the festival where the dead spirits of the household, the lemures, were cleansed by the paterfamilias. And the connections to Halloween don't stop there. We might take it for granted that writing should go from left to right. Some languages like Hebrew or Arabic go right to left. But what about a combination of the two? That's where the boustrophedon comes in, something the Greeks and Romans experimented with in the beginning of their written languages. Caligula, the great-grandson of Augustus, was the third emperor of Rome. His name actually was Gaius, with Caligula being a nickname he hated later in life. 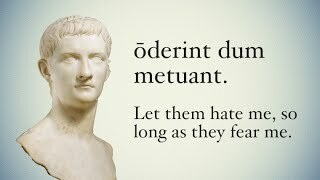 In fact, hate was a common theme of his rule (37-41 AD). How much did teachers make in the ancient world? Since the Romans valued education, it had to have been more than the ancient sports figures, right? 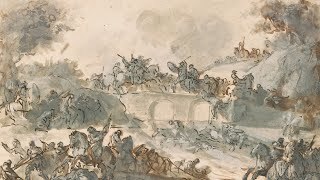 In order to punish or motivate poorly performing units (legions, cohorts), the Romans sometimes practiced decimation, which effectively wiped out 10% of their troops. 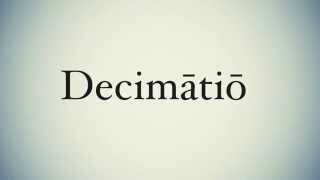 But today, the root word behind decimation, decimus, tenth, is largely lost on English speakers. Publius Cornelius Scipio Africanus was the Roman hero of the Second Punic War, defeating Hannibal Barca at the battle of Zama in 202 BC. The Romans connected the name Scipio with words referring to lightning and ruling, since the Scipios were born rulers. 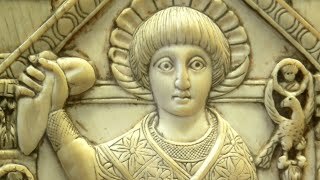 How do you remove the memory of a particularly bad emperor from the history books? Or what if your brother is just so annoying that you can't stand the sight of him anymore, and don't want to share power? 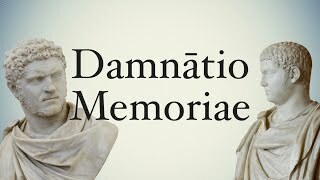 You perform a damnatio memoriae, erase all inscriptions, destroy all public images, and pretend as if he never existed. 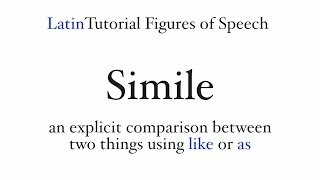 The simile is a comparison between two things which is introduced by the words "like" or "as", or in Latin, qualis, ut, velut, or tamquam. The word "simile" itself comes from the Latin word similis, which means similar. 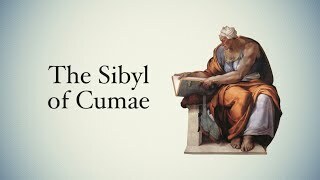 This video discusses what similes are and provides examples from Latin literature. 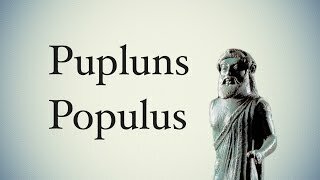 The Romans might not have Etruscan origins, but their word for people, populus, may. 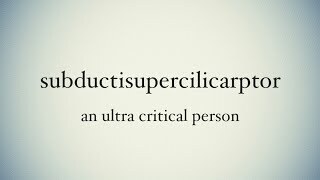 This public and published (for the common people) video explores the etymology of this word to its fullest extent. 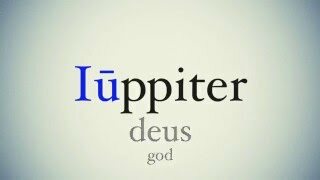 The god Jupiter is the chief sky god of Rome, the father of gods and men. He's often connected to his Greek counterpart Zeus, not just because of his job description but also because of the origins of his name. There's a whole lot of father Zeus in Jupiter. 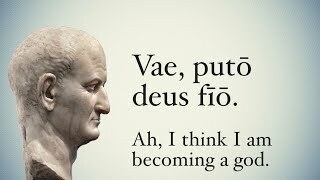 Vespasian's last words reflect the idea of both emperor worship and the act of making emperors gods after their death. But is there also a sly comment on the famous last words of his predecessor Claudius? The Latin word for army camp is castra, castrorum, which itself is only found in the plural. 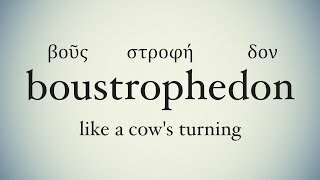 In English, this word comes down to us in the endings of certain towns, like Winchester and Lancaster, which originally began as Roman military camps. 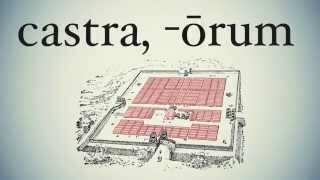 What is the longest word in classical Latin? 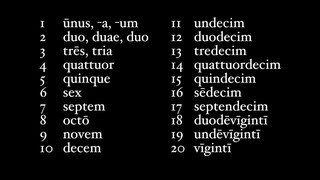 It's from Aulus Gellius' Attic Nights, an means "an ultra critical person", but with more letters! The Ides of March, the Kalends of February, the Nones of November. All of these dates are Roman style, and mysterious if you don't know how the Romans reckoned their dates. 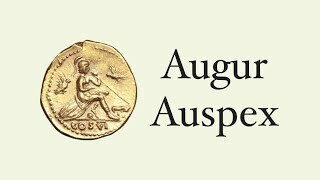 We owe a lot of our calendar to the Romans. 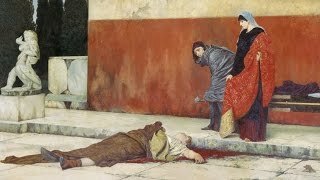 This video covers the strange, traditional methods of the Romans in marking their dates. The Romans gave themselves three names, although their names are a bit different from our typical three names. 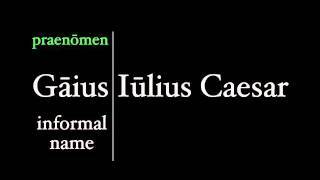 This video covers the basics of the praenomen, nomen, and cognomen. Found buried in the ruins of Pompeii is a bit of graffiti with some magic to it. In this square, you can read forwards, backwards, up, or down, and still get the same message. But along with that is a hidden message of Christianity. 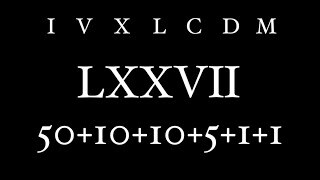 Where did Roman numerals come from? This video investigates this question and gives the current accepted theory. Hint: it's all Etruscan, baby. 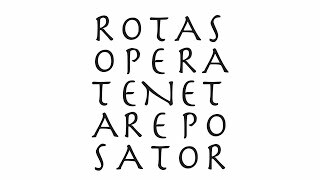 Numbers in Latin are as easy as one-two-three, except that the numbers one, two, and three are declined to match the same case, number, and gender as the noun they are describing. This video covers Latin cardinal numbers, the numbers we use to count. Latin is dead? No way! Latin is just the ancient form of Spanish, French, and Italian. 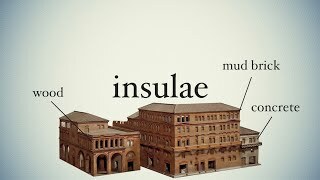 And what's more, Latin wasn't what it once was, since it is also derived from another more ancient (and lost) language. 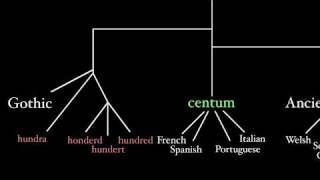 But we can trace the history of Latin and its related languages like a family genealogy. N.B., not all languages are represented here (e.g., Romanian, itself a Latin tongue) only because of space limitations in the video. We see Roman numerals everywhere, from Super Bowls to popes. 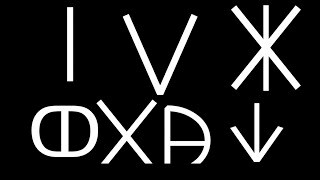 This video is a short introduction to Roman numerals, including how to add and even multiply with them.